The visa application process is explained on the consulate’s website but for some reason we never found this Spain visa information before. Now after a moving to Spain and a year and a half later, I finally figured out to how get a long term visa (aka: long stay visa Spain) and how to move to Spain legally. Though the visa requirements for Spain are mostly clear, it’s one of the more complicated residency visa applications in Europe that I’ve seen. The most difficult part for me was the fact that I must apply and pick up my issued visa in person, at the consulate within my jurisdiction. Since I’m still technically a US resident, I have to apply in Los Angeles since my home address is in Phoenix. There are 8 Spanish consulates in the US and each covers a different jurisdiction. You can check to see which consulate covers your area at the end of this post. The other challenge is the visa application process can take up to 3 months for approval, though the Los Angeles consulate informed me that most applications are processed within 30 days. Below are the steps required for the application with some notes and clarifications that I discovered along the way. Note that these requirements are mostly based on the instructions from the Los Angeles Consulate, which should be the same for all US citizens, though I’ve seen differences and discrepancies on each of the 8 Spanish Consulate websites. 1. In Person Appointment – Request your visa appointment online at your consulate. Do this at least 3 months in advance or more! You can always change or reschedule your appointment later. Update 10/1: The interview process was extremely difficult and the LA consulate is strict. Be sure you follow ALL instructions and ask questions by email well in advance if you have any doubts. 2. Application From – Fill out the Spain visa application form. This is simple and straight forward since you can download the form online. 3. 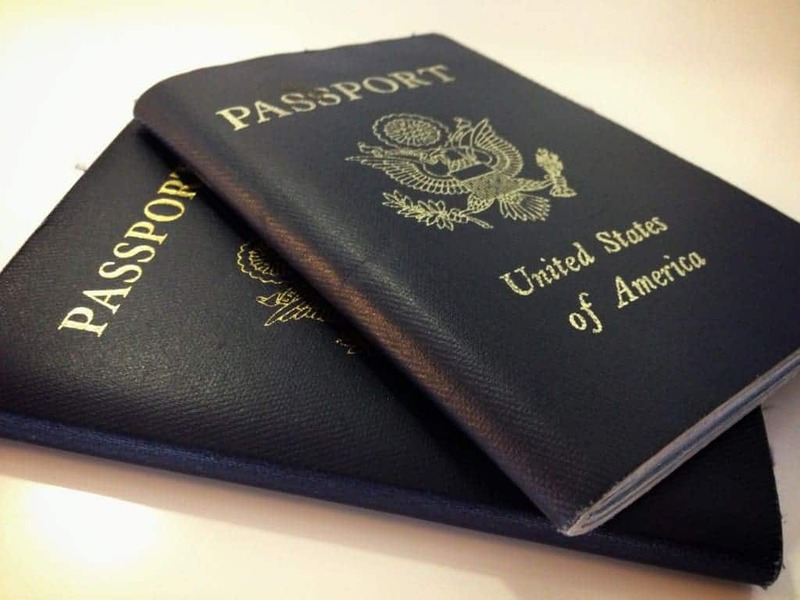 Passport Photos – You must submit two passport photos with your application – another simple step. 4. 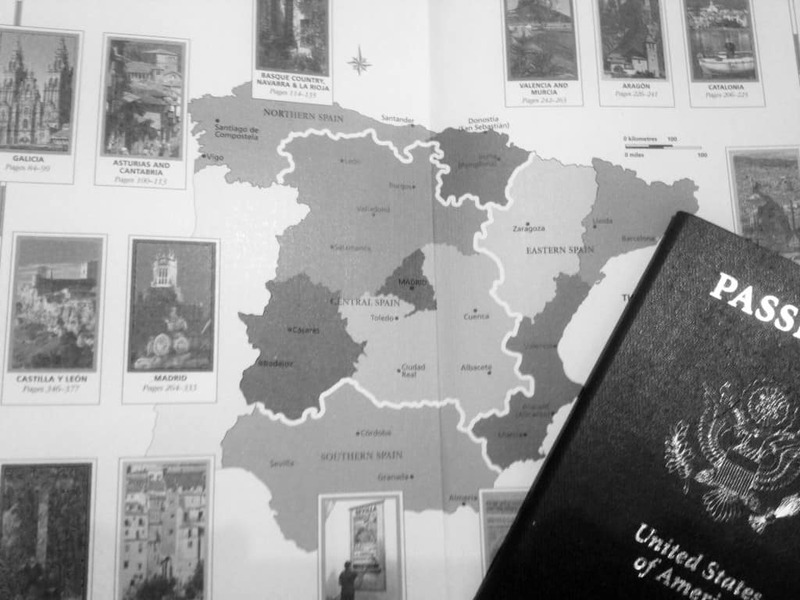 Passport – You need to provide your passport during the application process and the catch is that it must be valid for 4 months after you plan to leave Spain. In other words, if you plan to stay a year in Spain and the application process can take up to 3 months for processing, your passport must not expire before 1 year and 7 months from the day you submit your application. Update 10/1: You should also bring your drivers license/ID as well as a copy. 5. Residence Form – You need to submit the form EX-01 called “Solicitud de autorización de estancia y prórrogas” which is essentially the application for the Spain residence permit. The Spanish visa application form in Step 2 listed above is specifically for the Spanish residence visa and not necessarily for the Spain residence permit itself. Update 10/1: The LA consulate webpage is wrong (it requests EX-00) and they do actually require form EX-01 plus the $14 fee required to process your residency using form M790 C052. 6. US Residency – If you’re a US resident but not a citizen, there is an extra step to prove your valid immigration into the US, but this did not apply to me. 7. Medical Certificate – You must obtain a medical certificate from a doctor stating you are in good health and don’t suffer any illnesses that would threaten public health. The certificate needs to be signed and on a doctors letterhead. The website specifically says the certificate should be issued in the place of residence. For me this was annoying because I was already in Spain and not at my official residence in Arizona. So my plan is to fly to Phoenix to get my medical certificate the week before I apply for my visa in Los Angeles. I found a doctor in Phoenix specializing in immigration services that charges $140 for the physical and certificate. 8. Criminal Record History – You need to submit a Criminal Record History from either your state or the FBI. This step is the most difficult and biggest headache. Some states, including Arizona, don’t actually issue background checks so I was required to request my criminal cecord history from the FBI. The FBI requires fingerprints to be taken on a special form and then mailed along with the application. The FBI can take 30-60 days to complete this process. Once you receive the background check from either your state or the FBI, you need to get the document legalized by obtaining the stamp of the “Apostille of The Hague.” This process takes another 1-2 weeks. And if this isn’t already complicated enough, the final document then has to be translated into Spanish. So trying to get all this documentation completed before your visa appointment is difficult because the process itself can take 2-3 months. Make sure you check with both your state and your consulate to determine if you can get your background check at the state or FBI level. State reports may also need to be notarized. 9. Health Insurance – You need to obtain travel/health insurance for the entire duration of your stay in Spain. The important part is to ensure the policy covers emergency medical expenses and repatriation services with minimum coverage of 30.000€. In my case I purchased insurance from World Nomads because their policy meets the Spanish visa requirements and I have been using them for 2 years already with nothing but positive experiences. Update 10/1: The LA consulate accepted my insurance from World Nomads. This was great because it covers me in Spain and also when traveling in Europe and abroad. Be sure to check the requirements at your consulate since they can change from time to time. Note: You can buy this exact travel insurance directly through our site by clicking this link. 10. Proof of Sufficient Funds – Since you aren’t allowed to work while in Spain, you have to prove that you have sufficient income or savings to support yourself during your stay. In my case, I am working but because I work for American companies outside Spain, this is acceptable and I just need to prove I earn enough to support myself. The visa instructions on the Los Angeles consulate don’t specifically list an amount you need to show but several other consulate pages mentions 2,130€ per month (plus 532€ extra for a spouse and/or each dependent). In my case, I will provide bank statements for 3 months showing my balance in checking and savings accounts as well as 3 months worth of freelance invoices and payments received. Update 10/1: The proof of sufficient funds is extremely subjective. You should show your monthly income and any savings you have as well. 12. Visa Fee – You also have to pay the $140 visa application fee with a money order. 13. Spouse or Family – If you are married and plan on bringing your spouse, he or she needs to submit the same documents plus your marriage certificate, legalized by the Apostille of The Hague and translated into Spanish. Although David and I are in the process of getting legally married in Spain, this process didn’t apply to me because I am applying for this visa on my own. The same applies to any children you’re bringing, except the extra document would be the birth certificate(s). So to be fair, the Spain residency process is difficult, time consuming and frustrating at times. But if you’re like me and really want to move to Spain and continue working on your own terms, then this is the visa for you. Alternatively, you can apply to one of the many English teaching programs which make the visa application process much easier. The downside is that the visa is only temporary for your job contract, you don’t have a lot of choices when it comes to your cities and school placements and obviously, you have to teach English during your stay. So if you happen to work from home whether it’s IT, graphic design or another field, then this is one of your only options in Spain. Similar visas exist in France and Germany and the process in those countries are easier and more straightforward. 1. You will need to submit two copies of each document – the original and one photocopy. 2. The criminal background check and medical certificate are only valid from 3 months of issue. So for example, if your background check was dated on May 1st, you must apply for your visa before August 1st. 3. Some documents need to be translated into Spanish. In my case, the Los Angeles consulate only specifically requested the medical certificate and criminal background check to be translated but it’s best to directly ask your consulate about their requirements. Update 10/1: The LA consulate now requires “ALL” documents to be translated. Check with your individual consulate for clarification. 4. You probably need to start planning out this process at least 5-6 months in advance for your Spanish residency visa. The complications of timing with requesting your appointment, getting your background check or applying for a new passport need a bit of extra planning because they can take a 2-3 months to process in some cases. 5. I also got confirmation from the Los Angeles consulate that I must apply for and pick up the granted visa in person. Other visa types or other consulates may allow you to mail in your application and some allow you to have an authorized person do activities on your behalf. 6. Processing times vary for each consulate. I’ve seen processing times that range from one to six months. 7. Links to the various Spanish consulates in the US can be found here. You’ll need to find out which jurisdiction you live in and apply at the consulate within that region. Here are some additional blogger resources for applying for visas in Spain, including the Spanish Residency Visa. These people have successfully received both residence and student visas at various consulates and give good tips on what you need to do it. Update: I’m currently in the process of applying for this visa. Making an appointment with the Los Angeles Consulate has been particularly difficult as appointments were not available until 3 months out. My appointment is currently scheduled for September 9th and all my documents are either collected or in process. I’ll make any modifications to this Spain visa information based on the results of my Spanish residency application. Updated Oct 1st, 2014: My visa application was accepted on September 9th, however the LA consulate didn’t particularly like the financial records that I provided. As a freelancer they wanted to see more “official” documents. They offered to process my visa application as a student spouse since David is currently studying for a masters in Spain. Rather than risking not getting any visa at all, I accepted this approach for convenience. My goal next year is to apply for the non-lucrative visa again so I have an entire year to get my financial records in order. The rest of the application process was fairly straight-forward though I’ve made a few updates to the post above. Thank you so much! This is so helpful! I’m in the process of starting the process for myself. I’m working as an au pair but I don’t want to take Spanish classes since I already know Spanish pretty darn well (I was a Spanish major in college). So I will follow your progress…thanks for sharing! Great, glad it was helpful. Good luck! My daughter was just at the Spanish Consulate in Los Angeles today. I don’t think the interviewer had ever heard of the non-lucrative visa. So she was constantly asking a woman in the back of the office questions. My daughter did not have a copy of M790 C052 so they would not accept any of her other papers. We could not find that as a requirement on the LA web site but San Francisco lists it. After your appointment let us know how it goes. They also wanted all of her documents translated into Spanish. Also if anyone at the LA consulate has been helpful or your appointment goes smoothly it would be nice to know who you talked to. It’s unfortunately that they won’t accept the documents just for missing one form that they didn’t even tell you about. It’s a frustrating process. I am going to update my post after my appointment this coming Monday (Sept 9th) with any additional tips. I’ve been emailing them back and forth for months and they did mention the M790 form because I asked if I needed to pay anything else besides what was listed online. Hopefully my experience will help others as well. Please let me know how your experience continues to go. Thanks! Thanks Auston, for a really great post!! …. Hugely useful and wonderfully written!! When you get the time, if you could tell us ….. in the preparations, which of the things you were able to deal with from Spain, and for which did you have to be physically present in the USA. I’m doing everything from Spain except the appointment where I apply in person. There are just a couple things that my mom is assisting me with in the states to speed up the process with mailing. It is great connecting with you both here, after having connected with you on Couch Surfing. Such a helpful information to plan a trip. Thanks for posting nice views. This is SO helpful! My appointment is actually next week and collecting all the documents has been a headache. Did you get your documents “officially” translated in Spanish? Or did you just translate them yourself? I speak and write in Spanish so I thought I could do it myself but since it’s the embassy, I wasn’t too sure if it needs to be done by an official translator. The embassy website doesn’t really help either. Welp. If you know, thanks in advance! Hi Janice. Glad it’s helpful. Yes I got my documents officially translated. In my experience, the consulate is pretty strict so I didn’t cut any corners even though I probably could have translated them myself. They clearly ask for a “certified” translator. It’s expensive and a hassle but I’m not sure there’s any way around it. You’re best option would be to ask them by email in advance and they’ll tell you for sure. But like you said, you’re appointment is soon so not sure you’ll have much time. Good luck! Can we get an update on how your appointment on the 9th went? Will soon be doing exactly what you are, am already living in spain, etc. I will be going through the Houston consul, which I have read is more lenient / easier than most others. That they do not require everything translated, and there are no appointments, it is simply walk-in and first come first served. I am interested to hear what your experience was like. Did they accept simple bank statements printed off the internet at home, as proof of adequate finances? Were 3 months of statements enough? I have read some like to see 12 months’ worth of proof, and also that they may require notarised ‘official’ statements from the bank itself (??) and not internet statements. I have read that some consulates require a letter stating your reasons for wishing to reside in Spain. Was this required? Most importantly (for me), for this non-lucrative visa did they require that you surrender and leave your passport for the duration of the processing period? This would be a complete impossibility for me as I require to carry mine at all times for my employment, not to mention my having nowhere to live in the usa while waiting up to 3 months for a decision from Spain. I have read that for student visas they want you to give up your passport and leave it with them. But have not read anything similar about the non-lucrative permit. Well anyway let us hear an update. There are at least 5-10 very interested parties out here. Hi Bill. I’ll email you directly. They accepted my visa application but the appointment didn’t go as planned. I’ll update the post once my application is approved. My daughter just got her application for a non-lucrative visa accepted last week at the Los Angeles consulate. This was her 3rd appointment. 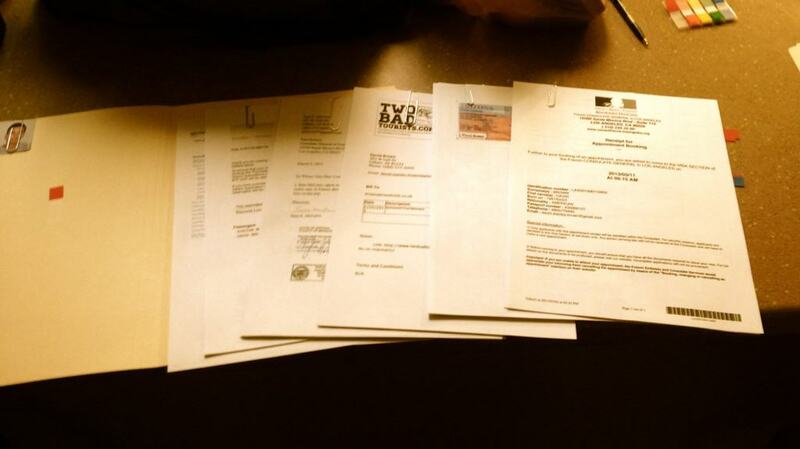 They required ALL documents to the certified translated into Spanish including financial statements. They wanted 3 months worth of statements and they would not accept them unless signed by bank official and stamped (notarized or official bank stamp). At appointment #2 she had tried internet printouts of her statements and current balances and Los Angeles would not accept those. San Francisco requires a “letter of intent” so my daughter prepared and had a certified Spanish translation of that for appoint ment #2 but Los Angeles was not interested in it. For both her bank accounts and an investment account she had signed/stamped documents that showed last 12 month end balances. Not sure if this was necessary but she didn’t want to have to go to another appointment if they said they wanted those numbers. Hello guys, thank you for such a great site! My question is about the accommodation. On the Spanish Consulate site in LA it says: “Proof of ownership, leasing, or renting property in Spain.” In you opinion, will they take a letter from my friend who lives in Spain inviting me to stay? They don’t list that option, so I’m not sure if this particular consulate will accept it. Would like to hear what you think about it. Thank you! Yes I think they will accept that but you probably need your friend to give you a signed and notarized letter with their address inviting you to stay. You probably also need to submit a copy of their DNI (ID card) with their address to prove where they live. If the address on the ID does not match their current address, you need to submit a utility bill or something similar with their updated address. They may also want a copy of the Enpadronamiento which is a registration of their address that they receive from their local town hall. Your friend will know what this is and it will need to be issued within the past 90 days. The letter will definitely need to be written in Spanish. Hi Bill-I came across your questions on Auston’s blog and was wondering if you could me out! I know the blog is almost 2 years old but I thought it couldn’t hurt to try! Did you have to leave your visa at the consulate for the entire time it took to get approval? Hi Beth. Good questions. The official cost of the visa is only 154€ (140€ visa fee + €14 residency fee). But the real cost is in preparing the documents and travel expenses. Documents need to be officially translated into Spanish and some consulates require “all” documents to be translated. I spent about 175€ on this plus you’ll need the criminal background (~25€ fees + shipping) check and doctors letter. The costs on this will obviously vary depending on if you have medical insurance, etc. I don’t know which consulate would handle your application thought I would assume it will default to the region where you were previously a resident prior to moving to Spain. I would get in contact with that specific consulate and specifically ask them if you can apply for the visa in Spain or if you need to do it in the US. Often times, if you are already a legal resident of a country, you can apply for visa extensions in that country instead of returning to the US. However, Spain is rather strict in my experience and may still require you to travel since you are technically switching visa types. Each consulate has an email address listed in their contacts page. Hope that helps…good luck and do let me know what they tell you as I’d love to know this info for my own information and to help others in the same situation. Thanks! We are doing this exact same thing right now. Your info was so helpful. I think our situation may be slightly different because we have to go through Houston instead of L.A. but I’m sure very similar. I have a few questions….. You mentioned the interview didn’t go as planned….. What did they ask you? Did they ask for more info once you were there? Did they keep your passport? I was curious whether they care whether you are going back and forth from Spain during this process. Would you email me when you get a second? Are you back in Spain? We are currently in Sitges outside Barcelona. Hi Adrienne. Thanks for the comments. Please check your email as I just sent a message. Good luck! I am looking into a non lucrative via Houston and would love any feedback you have. Thank you!! Good info. We obtained ours in the Summer of 2012 and have since created a detailed ebook on the entire process, the little differences between consulates, as well as tools to help lead the way. Congrats on obtaining your visa and do feel free to contact us if you know of anyone needed help with the process. Thanks Heidi. It’s always good to know others have successfully done it. You guys have a great site. I had fun looking around after my comment. Happy Travels! Great post! Great information. I’m just wondering – can Mexicans apply for this visa? I work online and earn well over the amount stated to get the visa, but I can’t find any info online about people from outside the US applying for this visa? Boy, you have saved my SANITY with this website and everyone’s posts. Thanks so much! To you, Auston and EVERYONE. I am going to MADRID for a Teacher training school for ESL with Spanish lessons and a cultural enrichment program for a year and my retired husband is coming too. He needs this residency visa and I am going on a student visa renewable after a year as we may stay longer, maybe very much longer…I understand that the long term non lucrative visa is also renewable after a year. or you could get one for up to 5 years… is this accurate? We live in L. A. I am grateful for the Wilshire Blvd address which is easy to find. ” agencies” ( which I found by a link to be the DOJ upstate) and THEIR background check will be accepted which is actually NOT the FBI check. Is THIS TRUE? Would this take less time to achieve? Because I am a student and basically supported by my husband ( I am 62; a less active pro cello player, and he is 85, a retired aerospace scientist) I believe we can get our consulate app’t together and apply together for these different visas. WOULD YOU AGREE WITH THIS? WE will get to Spain sooner or later this next year and are totally looking forward to this beautiful city everyone assures us we will LOVE. The roller coaster ride feels rough right now. Appreciate your work helping all of us. “To live there without working”.. I am assuming this is referring to working in Spain and taking Spanish jobs but with this visa could you work (pay yourself from your own country) at growing an existing business you want to expand to Europe with and eventually hire locals? For example we run an online store and have increasing European orders. I want to move to Europe and open up a European office. “Working” from an apartment would suffice at first and then eventually open up a physical office space and maybe hire a few locals. Do you think this visa could work for that? I wouldn’t be technically “working” i.e. getting paid by a spanish company.. more so just working on the business. I think you need to be careful. The moment you tell the consulate that you want to start or expand a business in Europe (especially Spain) they will call into question your application. You need to apply for a completely different visa and business license in Spain to start a business here, so they probably won’t grant you a non-lucrative visa if they think you have different intentions. Please post the answers for all to see! Even if it seems someone’s question is probably absolutely unique to their situation, there are always others out here to whom the reply would be relevant. You diminish the usefulness of your site as a resource to others by answering the questions in private. Hi William. Thanks for your comment. Due to the cost of maintenance and the amount of people we get coming to the site asking questions about the visa, we’ve decided to only offer limited support via the comments on this post. With all the demand, it takes a ton of time to help everyone so we’ve decided to offer an inexpensive support service for $25 for those who really need it. The links to that service are in the post above. If you subscribe to the service you receive unlimited email support. Thanks for understanding and good luck. Their help is worth every penny!!! Hi, GREAT info, my husband and I plan a move and Spain is/was our number 1 pick as he is of Spanish decent and reads, writes and speaks the language. But one too many generations for Spanish passport. However we are not all that particular in where we land as we plan to travel around once in Europe. My questions is which country has the easiest Visa Process? You mentioned France and Germany were a little easier but Germany, other than to visit is not a place we want to live. Portugal, Italy, Spain & France is where we think we would end up a good deal of the time. We did see that there is a Dutch American Friendship Treaty which makes some of the process easy by what we have read. We both have some free lance business we can do, but we are retired, with health insurance that works anywhere and can meet the financial proof. Also since my husband could apply for our visa in Spanish how much easier would that make it and less to be translated. I know most of the other documents, since in English must be certified translated by a professional. The French visa was pretty simple. A lot less hoops to jump through compared to the Spanish one. The German visa (a friend has done it) requires a bit more done in person and you have to buy German health insurance. So in my opinion not as easy. We don’t have experience with getting visas from other European countries so I can’t really comment. The biggest expense of the Spanish visa is the translation and unfortunately, even if you speak Spanish fluently, they still require certified translation. They are very strict. How are you able to show you have an income when you are living in Spain? Do you leave Spain, and just work outside the country? I pretty much work all online, but I know that I can’t do that in Spain. If it means, I have to “work” outside of Spain, I will, but I was curious how you were able to show an income each month coming in. I work freelance for a company in the US. It’s all remote, so I just showed copies of 3 months worth of invoices plus my bank statements. It’s even better if you can get a letter or more official looking contract from your employer or client, etc. and get it signed and notarized. The Spanish government really loves documents with stamps and signatures. To them, it means it’s official and trustworthy. Thank you for all your help! All my documentation was in order and the representative was very appreciative. My long term visa was approved in approx. 2 weeks!! However, it was costly because of the requirement of using legally certified translators – $60/ page!! At that rate I carefully considered how much info to include. My question is unusual: Since the visa arrived so fast, I am not quite ready and would like to know how soon do I have to enter Spain? Thank you for an extremely helpful site. Wow that’s great! I just got another message from a reader and it took them 8 visits to the consulate before they got their visa. It’s true…this is not an cheap process to go through. From what I understand, there’s no requirement of when you need to enter spain. Generally, the visa in your passport is valid for 90 days and it starts on the day that you told them you would plan to enter. It’s ok if you enter afterwards. The only requirement that I know, is that within 30 days after entering (based on your entry stamp) you need to go to the local police station to apply for your ID card. As long as you do all of that before the expiration date on your 90 visa, you should be fine. You can always email the consulate as well with this question but I think they would tell you the same thing. What your post outlines is how backwards parts of Europe are. I was posted in Spain for two years and was more than happy when my company posted me to Japan. For Singapore, Hong Kong, Taiwan and a number of other countries Asia getting a residence visa is easy, efficient and can take 3 to 6 weeks. After 7 years in many of these countries you automatically become a citizen. I’ve been Singaporean for 16 years now and also hold Taiwan permanent residence for 7 years. A few months ago the Spanish Embassy in Singapore had a 4 day fair to generate interest in Spain. It turned out to be a failure. Or a case of the left hand not in sync with the right hand. When reading your post it took me back to the two years of having to deal with bureaucracy. Oh yes the bureaucracy is crazy and so frustrating. Though in all fairness, I think it’s just as difficult for a Spanish to get a visa in the US. I don’t think it’s by chance, but still, most processes in the Spanish government operate like it’s 1950. Yes you should be fine. Like you said, the idea is that you can’t work in spain or take a job from a Spaniard. You just need documentation to prove your income from the company. We’re in the process of getting all our documentation together. The FBI check took just over 15 weeks, but is finally in the mail. I’m wondering how you got your documents translated as there is no official certification process for translators in the US. Did your translator just attach a statement claiming their fluency or did they get it notarized or what? We will also be going through the LA consulate and are feeling pretty frustrated- and we haven’t even applied yet. We’re a 5-6 hour drive from the consulate so I really don’t want to do that drive more than twice with my four year old in tow! Thanks for writing such an informative article. I’ve found similar ones, but this is the only one for the LA consulate specifically. Our translated included a cover letter with their company information and notarized the document. The consulate just wants a translated that is qualified so really anyone who’s in that business and provided a professional looking document should be fine. We did not need to get our medial certificates notarized. Did you have your medical certificate notarized? Hey auston, thanks so much for all this killer info, finally shinning some light on a very confusing topic! Hoping to do the same thing just out of australia. Hey there. Yes this is a bit problematic because you need to get your Spanish ID first if you’re leaving for that long. Once you get your visa and enter Spain, you’re required to registered with the local immigration authorities within your first 30 days. At this point, you apply for your official residency and obtain your Spanish ID card. The whole process can easily take 1-2 months depending on their workload and which city you’re in. They require you to do all this in person. The visa you receive in your passport is only valid for 90 days and your authorization to stay for the full 12 months is allowed with your residency ID card. Then if you decide to stay again for another year, you have to renew your residency card in Spain and again prove you have the financial means to support yourself. In theory, you need to do this in person again about 2 months before your 12 month allowance experiences. You also need a permanent address to register in Spain with all your paperwork and ID’s, etc.. Does this all make sense? Auston – Awesome content here! I think I’ll take your suggestion (and link!) to do World Nomads for the insurance, but wondering if you had to have a certified translation of that as well? Yes I got the insurance document translated. But it depends on which consulate you apply with. The LA consulate requires ALL documents to be translated. Most consulates are the same but you need to read the requirement carefully on the page of yours. Glad the article is helpful! wish I had seen this before. I went through months of frustration not to mention unnecessary expenses with the LA consulate for my Spanish non lucrative visa. They said today they were processing it. Do you know how long it takes to get notification? Cause i’m traveling to Europe this weekend. Do you have a link for instructions once one has the actual visa ? Hi Laila – processing times can vary. Technically, it can take up to 3 months but they are sometimes ready within 3 to 4 weeks just depending on the workload they have. There used to be a good English blog on how to get your ID once you enter Spain but the link seems to be dead now. Basically, you just fly into Spain or the Schengen zone to get your entry stamp in your passport. Then you need to go to your local police station or foreign services to apply for your spanish ID. You’re supposed to do this within 30 days. There is a bunch of paper work you need to submit, you get your finger print taken there (called huella) and then return later once your ID is ready. Try googling this and you should hopefully find the info. The entry process is pretty much the same for any foreigner regardless of what type of visa you have. Thanks in advance for you info! Hi Gianna – yes I recommend 2 translation services. Details are available in the free 10 FAQ’s on this page. Just download it on this page. You really need to get translations done officially because they will not accept them if they don’t look offical (ie. coversheet, stamp, signature, etc.). Unfortunately it’s not cheap…I think we paid ~$15 to $30 per page, depending on content. Your website has really helped me!! I have an appointment with the L.A. Consulate at the end of the month. Thanks to you, I’m pretty sure I have everything I need, except the translations. I tried twice to download your 10 FAQs but I never got them. Can you recommend a good, trustworthy translation service? hi auston ,quick question my wife and i and my 2 yr old son applying for non lucrative visa in spain we are currently leaving in the philippines im just bit worried we get all our documents compelete, my inlaws bought a house in spain,we already complete the docs,im worried about the interview,what kind of question are they gona ask?is it individual interview or group interview?and how long it will take for the result?thank you,sorry if my english is not that good :) thank u again..
hi auston just want to ask regarding my non lucrative visa in spain,ive got all my documents now,ready to submit them, im currently here in the philippines hows the process of the interview?is it individual or group?im applying with my wife and my 2 yr old son,my inlaws bought a house in spain is it any chance to get visa? thank you..
Hi Aron – I can’t speak for you because our experience is based on the spanish consulate in the US. No idea how it works in the Philippines. But for us, the interview is with your entire family if you’re applying for the visa together. Plus, I wouldn’t really describe the process so much as an interview, but instead just a face to face meeting where the person asks for your documents and verifies you have everything in place. Hope this helps. One quick question: are two visits to the consulate required? One for the application/documents, and one to pick up the visa? I ask because the office in San Francisco is about 12 hours from us. Yes unfortunately that is the requirement. It’s extremely inconvenient. We are in the process of getting everything together for a Residency Visa in Spain for one year. When we went to make the appointment, the first available ones were not until the end of August, which was when we were planning on leaving so we can start the kids in school the first week of September. Do you have any knowledge of how we can get our appointments moved up so we can process and get the Visas in time? Are there any companies that can expedite this process? Also does anyone have any experience with the Los Angeles Consulate when it comes to appointments needing to be all in one block. There are 5 of us, and there was no way that we were going to be able to all be on the same day. Help! Hey Auston, great blog and this post was super helpful in my process of trying to figure out my visa! I am applying at the LA Consulate for a student visa, but the requirement for the FBI background check is the same: original translated into Spanish + 1 copy. I’m a little confused as to the technicalities of this, since the background check has to be Apostilled. Did you get JUST the background check translated into Spanish, or BOTH the background check and Apostille translated? I’m currently awaiting my background check in the mail, and it would make things a lot faster if I could copy and send it online for translation when I receive it; meanwhile, I can mail to the Department of State to get it Apostilled. Or would I have to wait for the FBI background check to come back with Apostille and then get both translated? Great info. My husband and I are leaving on non-lucrative visas in 3 weeks ( L.A. Consulate ). We initially wanted to live in Barcelona but have since changed our minds and would prefer Valencia. The Consulate cannot help as they say these matters are handled internally ( in Spain ). Do you know of anyone who may have done this and was it a big deal to change your destination in regards to applying for T.I.E. ? I’m not sure that the visa even has a city tied to it. I would just go to the Oficina de Extranjeria in Valencia and ask them when you arrive. You could always just try to submit your paperwork in Valencia and just see if they accept your application. I don’t really think it matters what city you live but not totally sure. You just need to submit your paperwork with your visa when you arrive and that paperwork says your address, even if different from what you originally said in your visa application. I doubt you’ll have a problem. Where did you get your fingerprints taken for the background check be it that you live in Spain? I read on the Barcelona Spanish consulate website you can get them in Spain at a police station only if you get a letter requesting this from the US consulate/embassy. Or can you only get fingerprints in USA? Also, you noted you have to return to the LAX consulate to pickup the visa once it’s processed? How long did that take ? It sounds like on your website you got it processed while you were in LAX the first time. We got ours in Madrid and the police and they actually don’t require the letter. Send an email to the consulate and ask if the Barcelona police station requires the letter. Processing from the LA consulate can be up to 3 months but ours took ~3 weeks. Thank you so much for all your detailed information! You can’t believe how much your information has helped relieve the stress of this process! Just want to mention that I had my bank statements mailed to me in Spanish. Do I still have to get my bank to sign or notarized them to show that the statements are directly from my bank? The reason I’m going to Spain is to preach full time! But I’m doing it on my own, the church is NOT finically responsible for me. I’m using my saving to be in Spain for at least 6months! One of the requirements is proof of Accomodations! Great information! I have 2 children, ages 15 and 18. Will the 18 year old still be considered a child for this visa or will she require to do it separately? Thank you! My guess is that you can still apply together if your 18 old child is still a dependent and in school. But you will need to submit a police report since she is technically an adult and it’s required for all applicants 18 years or older. So you are in Spain working remotely on a visa that specifically states no working allowed and are clever enough to be blogging about it at the same time as encouraging others to break the law? Nice touch, luckily the authorities will need your blog translated and notarised before they will even look at it but you need to be clear of one thing. A non-lucrative visa is just that, non-lucrative! Remote working on this type of visa means you are an illegal alien. The non-lucrative visa prohibits having a job in Spain. My income does not come from Spain and doesn’t take away a job from a Spaniard…in fact I could live anywhere and do my work. The consulate even confirmed this was acceptable and I submitted financial documentation to this extend so it’s not an issue. Thank you so much for all this information. I am starting the research process and this information has been invaluable. My biggest concern is the proof of sufficient funds, I will be doing some freelance remote work on the side as well to keep the income flow, but honestly my primary financial support is a savings that could cover me for about 1-2 years (I’m very smart financially and honestly could stretch that to 3 years if I wanted to). I also already have a primary residence squared away. Do you think my chances are slim since I can’t really get more official looking paperwork for freelance work? I think it’s still possible. In fact, you can make any documents look official if you take the right steps. We definitely have experience in that and can help you avoid the mistakes we made. If you have enough in your savings to cover you for a year at the standard amount set by the Spanish government, then you should probably be ok especially if you can put together some extra proof of freelance income. This is great. I’ve been looking for more information about what to do once you’ve been approved and arrive in Spain. The link you have above seems to be broken. I was told that we should go to City Hall first then to the police. What information did they request at this point and did you have to have a permanent address? I’m still looking for a place. I think it depends on which region you live in. Yes you need a permanent address…actually you need an Empadronamiento which proves your address plus a number of other forms and tasas paid. You basically are applying for your ID card which gives you the residency. It’s too bad the link is broken. That website was a really good resource but they have changed it and no longer have the content online. Hello!! I am so happy I came across your post. I live in Miami, FL but I am looking to move to Madrid the beginning on next year. I have been doing SO much research on how to legally stay there for more than the allotted 90 days. So, I may apply for a “Non-Profit” Visa at the Consulate and Miami and (fingers-crossed) they will provide me with a visa that will allow me to stay there longer? I don’t want to get at student visa because I do not want to take classes. I also don’t plan on working while I am there. But it seems the only way to make the move is with the student or work visa or having an EU Passport (which I do not have). So to be clear, you were legally able to live in Spain without a student/work visa or EU Passport? Please e-mail at anytime as any advise would be really helpful!!! Thank you! Yes, if you’re approved for the Non-profit (aka non-lucrative visa) then you can stay in Spain legally. The visa is valid for 1 year and then you can renew it if you want to stay longer. The trick is just proving you can support yourself financially. I believe you can apply for the work permit while still in Spain, but once approved, you have to go back to the your local consulate, bring your approved work permit and reapply for the different visa type. This is the case if you’ve been in Spain for less than 3 years. If you’ve been in Spain over 3 years then you can do everything without leaving the country. Working on our visa application now, a bit confused on the apostille and translations. Do we need to get the docs that require an apostille translated and then have the Spanish document stamped or do we have our original english doc apostille stamped and then have the apostille page and document translated? Get your english document authenticated with the apostille and then have them translated. I would like to thank you so much for replying to me and answering all of my questions. My husband and I’s appointments are on 2/29/16. I feel pretty well prepared thanks to you. I would like to talk to the posters about hiring an immigration lawyer in the USA. I really wanted to be prepared and I thought this would be helpful. I got very little out of it for the almost $2000 I spent. Most immigration lawyers I talked too, honestly stated they primarily focused on folks immigrating to the USA. I found this one, who I will call, “that will be another $500.” She basically answered 5 questions by email, referred me to a Spanish translator, and right before my appointment with the consulate she magically go too busy to handle my paper work review. All I wanted was what I thought was an experienced set of eyes to look over my paperwork just to make sure all was in order. I was afraid of this process, afraid that I couldn’t do it. As each piece of paperwork fell into line, each thing slid into place, I am more and more confident. I would like to thank you personally for giving more attention and thoughtful useful information for my $25, than my lawyer with whom I gave so much more money. I haven’t been approved yet, but I feel like I am prepared, as prepared as I think I can be. So a long drawn out Thanks! I will keep you posted. However I just noticed the “from / until” dates on the Visado adhered in my passport is only 90 days. Everything looks exactly like the pictures of Davids visa above. So I am confused if I actually got approved or not for a one year visa. Do I get a different “visa” when I get my register at the local police in Spain? I am supposed to leave for Spain on Sunday February 21, 2016 and luckily I am still in California. I am debating if I need to go back to the consulate tomorrow morning (3 hr drive each way) to make sure I have the correct visa. This is totally normal! All visas in your passport are typically issued for 90 days only. Once you arrive in Spain, you have 30 days to go to the police station/extranjeria to apply for your Spanish ID card. That ID will act as your 1 year visa and the expiration date will be set 1 year from when your passport visa started. Auston, so if the visa is only good for 90days, and the ID Card will act as the 1 year visa… when I go to extend it, am I just extending the ID Card? I won’t need my passport any longer for any future purpose, extensions, etc.? Yes you extend the ID card for another year. Although your passport/copies are still required for the renewable application. They just don’t give you another visa sticker in your passport, it’s a new ID with an extended date. This is the most detailed single information source for non-EU citizens who want a long stay visa for Spain. Bravo and Thank you. I followed your link to Kurpe Diem. My anti-virus program stopped malware from that site. I know you have nothing to do with that, but you might want to consider removing the link or adding a warning. Your blog is great, thank you! I am looking into the non-lucrative visa myself. My question is, do you know if you are allowed to volunteer on this visa? As long as you’re not being paid it should be ok. Though depending on the nature of your volunteer work, you may be required to apply for a different type of specialty visa. Thanks so much. Another question if you don’t mind… At what point do you have to give them/send in your passport? I’ll be doing international travel up through the beginning of October of this year so I’ll need my passport until then. I’m planning to be in Spain by Jan/Feb of next year. Hi, I would love to get your help to apply for a Spanish non lucrative visa. It would help to know if you have heard of anyone in my position being eligible for it first. I’m legally disabled, and have a social security income. It isn’t much money, but it is enough to live on for me, although it is nowhere near the thousands of euros per month mentioned by others, and I don’t have savings to speak of. My boyfriend lives in Spain, and I will reside with him, so I have no living expenses. He’s American military stationed in Spain, not Spanish, so he’s no help with residency as far as I know. Ever heard of social security folks getting visas? I’m hoping I’m eligible to apply! Thank you! Hello – thanks for contacting us. We’ve helped many people apply for the visa and most all of them have been approved. But as you mention, it will depend on your financial situation. If you have more questions or need more help, please consider downloading our free Frequently Asked Questions or even our visa assistance package. The package is just $25 and comes with a 100% money back guarantee, no questions asked. Due the popularity of this post and all the emails/messages we receive, we simply can’t spend the time answering everyone’s questions without a small compensation for our time. Thanks for understanding. Link below. I have recently had my visa approved (yay) and the “start date” is 25th October. The problem is that I booked my flight as soon as the consulate phoned me and advised of the approval – hence my flight arrives on the 19th October, a full 6 days before the start date. As I am from Australia I dont actually require a visa to enter, based on the schengen visa arrangements, so I dont foresee myself being sent home – however I am not sure if there are any implications for my visa or precautions I should take? We had a similar situation and the consulate advised that it wasn’t a problem to arrive before the visa start date. I suggest email the consulate directly and ask them if it’s ok. They will likely say it’s ok, then just print out their email response and carry it with you and keep an electronic record just in case. Please assist me how i can proof of accomodation? I’m in dubai and i don’t have friend in spain. hotel reservation is not consider as accomodation. This is such a fantastic post!!!! Thank you so much! Family of 4 here beginning to research this possibility. What about TAXES???? Do you have to file in Spain too? What about pensionS (more than one pension). This visa is non-lucrative which means you can’t work in Spain. Therefore, you shouldn’t have to pay taxes because you’re not earning an income in Spain. Hey there! My husband and I just picked up our visas from the LA office! Your post was super helpful throughout the whole process thanks so much! My big question: what the heck do I need to do when we get to Spain? What did you do after you got your visa and came back into Spain? We’re going to be in Madrid and most information I can find on how to get the residency card once there is specific to different towns or super old. Any tips? Thanks! 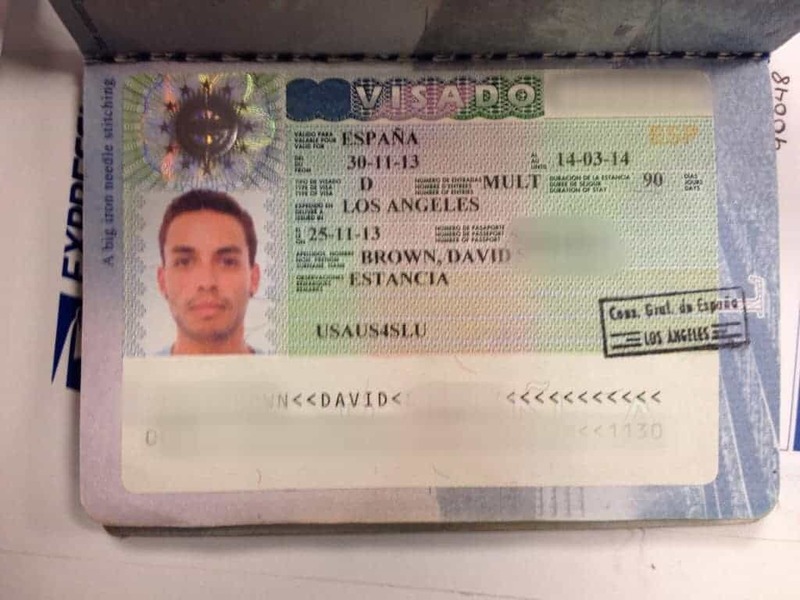 I am currently living in Spain and am really trying to get this type of visa, and am willing to fly back home to get it. But I am playing water polo here for a club, and would only like to be gone for no more than two weeks. Is this a possibility? Also, my 90 days of legally staying is almost up (Feb. 8 is the official 90th day). So I was wondering if I could get all my documents in order by then time wise. If not, can I still get my visa with the record on my passport saying that I illegally resided in Spain longer than my 90 days? Thank you!! Hi Elle – it’s not possible to get your visa processed in only 2 weeks. It usually takes 1-2 months and you have to apply in person and pick it up in person. If you overstay your current visa, then you’ll surely get denied for the non-lucrative visa. hi auston i just want to ask if arriving in spain using schengen tourist visa is allowed to apply for non lucrative visa? next, once you get the residency card do you need to validate it like going outside of spain for certain days? Hi Ed – no, you need to apply for the non lucrative visa in your home country of residence and then enter with that visa. Once you enter with your non lucrative visa, you apply for your residency card. You can’t do the process in spain as a tourist. Is it possible to get a visa in another country but simply reside in Spain? I heard it’s much easier to get a freelance visa in Germany. Yes it’s easier in Germany. But not technically legal to live in Spain if Germany issues you a German visa. You can visit 90 days out of every 6 months but not become a Spanish resident. What is required to create a request for a residence permit in Spain file without a job? Thanks a lot for the article! Finn here from Queerly Nomadic — we recently undertook the same visa request process, and were successful in getting our long term visa as well! They’ve changed the requirements a bit in the last few years and requested some additional forms, so we’d recommend checking with the consulate for more specifics, but we definitely found this blog post quite helpful in preparing our application. I’m coming Spain. Please help me? Hi, great information thank you. We have received our Visa’s and need to apply for our residency cards when we arrive in Spain. We have a small problem though. We are only in Spain for 8 days before we continue travelling around EU for the following 1.5 months and then we will return to Spain to see out the rest of the Non lucrative visa’s that we were granted. Does anyone know how long it takes to get the Residency Cards? Is it days or do they give it to you on the spot? Also my husband fly’s in and out for work as he works on a oil rig. He will continue working away while the family remain in Spain and fly in and out of Spain. Does anyone know if this will be a problem with our visas and who we need to get permission from to leave and enter the country? Please help, I am so worried that all our plans (which have been booked and paid for already) for the rest of the year will be ruined by being unable to leave and enter the country. I’m so glad that I found this! Great and helpful information. I’ve included a link on my blog page so that I can come back and refer to it. My husband and I are planning to retire in Malaga and have questions about the visa process. Many, many things involved! This helps greatly. Thank you!! may i know if how many years or month to spend to be able to apply my residency? Thank you so much for taking the time to put all of this information together. It’s been incredibly helpful! We’re starting the process to apply for Spanish residency. May I ask what service you used to have your Criminal Record History translated to Spanish? I have a question related to the letter in case you’re staying at family or friends house. I have double citizenship. In Latin American is very common to hear that when you want to stay at someone’s place in Spain you need a letter from that person. Is it the same thing holding an us passport? I’m just talking about vacation time not living there or something like that. We have been using Croatia as a base for the last year on a 1-year Temporary Stay. We’ve been looking to renew and work towards Permanent Residency (after 5 years) but the process seems to get more complicated – PLUS we have to learn Croatian and (the biggest obstacle) we can only be out of Croatia 10 months in the 5 years of Temporary Stays qualifying for Permanent Residency. 2) Do you know what the required stay per year is when working towards Permanent Residency in Spain? 3) darn, I forgot…maybe it’ll come back to me. You probably haven’t thought of permanent residency because you’re younger but we’re 50 and one of the considerations is working towards permanent residency in the EU. By the way, we are Canadian but we’ve found that most of the rules basically the same as with US. Found the details of the same Visa on the consulate website for the Ottawa region: http://www.exteriores.gob.es/Embajadas/OTTAWA/en/Embajada/Consularsectionoftheembassy/Longtermvisas/Pages/Nonlucrativeresidencevisas.aspx (just in case you have Canadian readers). The process also a bit similar to what we went through to get our Temporary Stay in Croatia with the major exception being that we didn’t have to go back to Canada to do it: we stayed in Split and were allowed to do so while they considered our application. Is this Type D visa valid only for 1 year? How to get it renewed after a year? This blog is really helpful. I have a question regarding proof of economic means, like Bank Cer., Are the embassy going to call the bank to confirm your bank balance? Is it ok to stay to a friend’s house in Spain during my resident there? Are the embassy going to allow that? Thank you for responding. Yes you can stay with a friend but you have to show proof they live there. They do not call the banks. That is private information and a bank can’t share that with anyone besides you. My husband is American citizen and I’m from Mexico. How can we apply for visa non lucrative in Spain from two different countries. I can’t enter USA to apply together. He lives in USA and I live in Mexico. Hi, my cuestión is, how can we apply for non lucrative visa for Spain since my husband is a USA citizen and I’m Mexican non USA resident, I live in Mexico and he lives in USA. It’s possible to apply for the visa from two different countries as a couple?? If I go to Spain with a tourist visa (90-day), is it possible to change to a residence visa without returning to the US? I’m from Los Angeles but have been legally resident in Italy for 13 years. I am not working here, my visa is long stay eletiva. I have Italian health care (excellent) which I pay into every year with .0750% of my income. I am freezing, have a very difficult to heat house and want to sell and move to Spain where i lived a long time ago. So…. would I have to appy in LA where I do not live and have long ago sold my house there or can I apply from Europe?? If you have residency in Italy then you should be able to apply at the Spanish consulate in Italy. No need to go back to the states. I recently obtained a Non-lucrative visa for myself, my wife and 3 children. We went through the San Francisco consulate as we live in NV. What a process!! Anyway- my question is, once you are in Spain, there is a requirement to register within the first 90-days with the local police station I believe (and obtain a card). I have obtained my empadronamiento, but No government office in barcelona seems to be able to give me a clear answer on where to do this and how to obtain an appointment. Any advice?